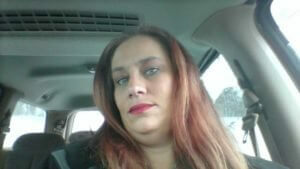 Tammy Peters is enrolled in the Business Administration program at WVJC Online. As a single parent of three children, Tammy values her education and the opportunity to better herself for her family. With one child in the Air Force, Tammy knows first-hand the importance of being responsible while also caring for others. Tammy has attended other online schools but couldn’t find one that worked for her…until she heard about WVJC. She says the college is more conducive to her schedule and credits the supportive staff and faculty at WVJC for her successful transition. Tammy also acknowledged WVJC’s admissions team and her fellow students as being helpful in her decision to continue her education online. Before deciding to come to WVJC, she worked as a General Production Worker for Emerson. “I have always been interested in all aspects of business”, Tammy said. She feels confident that she made the best decision for herself and her family by choosing WVJC. “Attending WVJC has changed my life for the better. After I graduate, my opportunities will grow.” In five years, Tammy would like to continue to provide for her family by using the education she is receiving from WVJC to work in a corporate business environment. If you, like Tammy are looking for a college that will work for you, request information today and find out how WVJC Online can help you!